DLDAV Model School, Shalimar Bagh has given a golden opportunity to the students to showcase their skills in the cyber space. 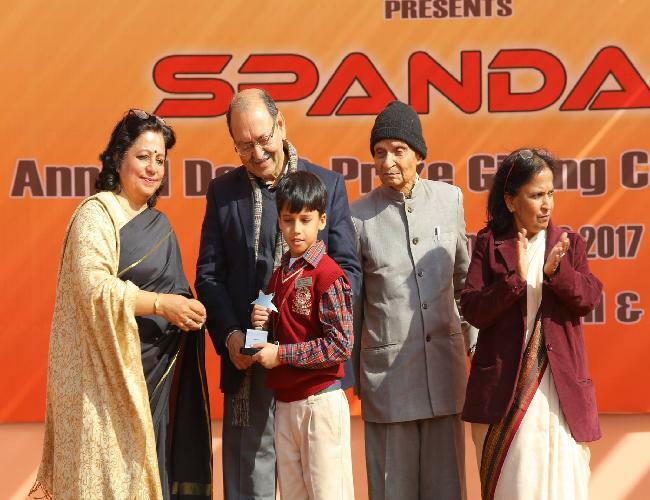 A Digital Citizenship and Cyber Wellness Olympiad (DCCWO) 2017-18 was organized by Learning Links Foundation with support from Ministry of Electronics and Information Technology, UNICEF and Digital India where one student of our school- Aditya Rai of class IV A got Merit Award at National level. He was awarded with a trophy and a certificate. Total number of participants were 68,800. Total number of winners were only 84. Aditya Rai is the only DAVian who won this award.